On holiday in Ouro Preto in the Brazilian state of Minas Gerais, walking its cobbled streets in the early evening, I heard the ragged syncopation of an amateur band coming from a basement room, and went down the neon-lit stairs to hear more. 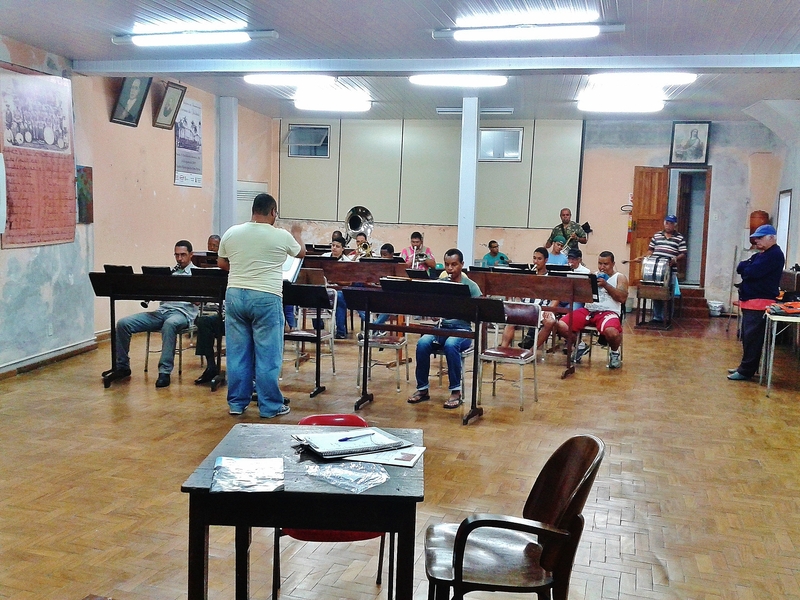 A large, bare, half empty room greeted me, and at a set of orchestra benches, a score of musicians playing the wind instruments of a brass band – clarinet, flute, saxophone, trumpet, trombone and Sousaphone, plus drums – with earnest and admirable concentration. Not wanting to intrude on their efforts, I listened while I looked at the posters and photographs displayed on the walls of the band rehearsal room. 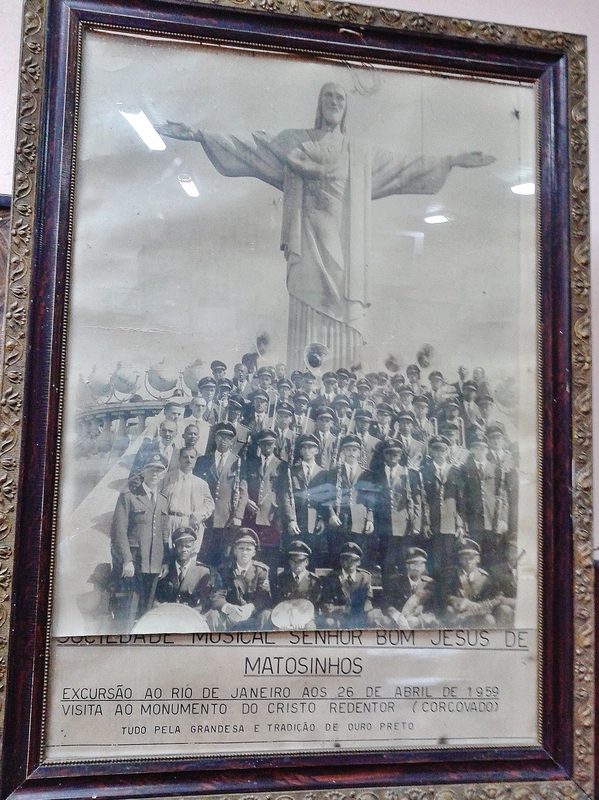 This musical society’s history goes back many decades, in an honourable tradition of going on excursions and taking part in competitions in the four corners of Brazil. 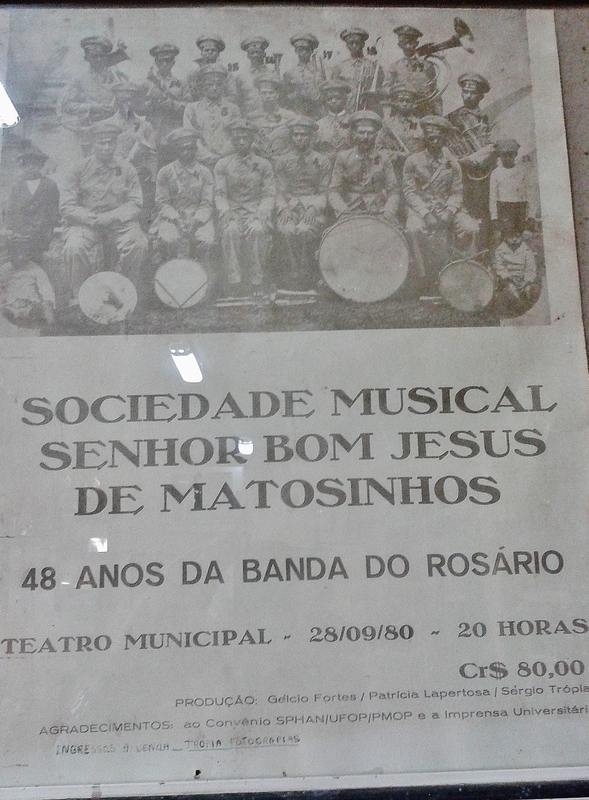 Formed in 1932, the musical society looks back to Portugal – Matsinhos is a city on the edge of Porto in the old country – but it has the glory of its New World in its sights. Its efforts are declared “all for the greatness and tradition of Ouro Preto”. Its supporters were in evidence, keeping an appreciative eye on the work. A unique and impressive piece of local musical culture in this most musical of countries.